OT Tourim - presentable travel pattern in warm, bright colors, from the studio OmegaTheme. 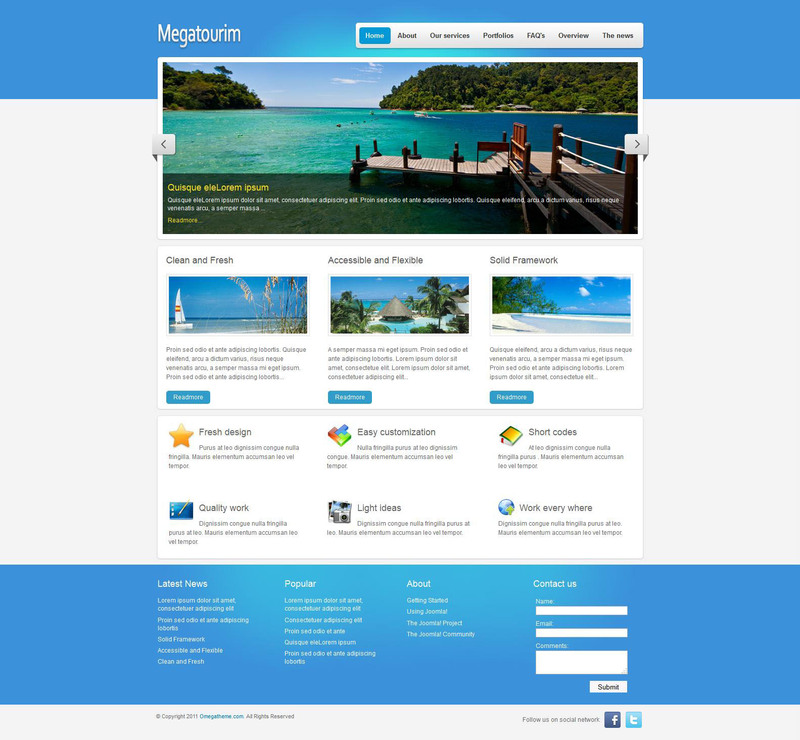 Perfect for travel websites or travel companies. Adapted to the social networks, includes a dynamic slider image rotator. Runs on the Solid Framework, contains 14 module positions, optimized code and is fully compatible with all browsers and versions of Joomla 1.5 - 1.7.